Nora Cronin Presentation Academy held its first graduation at Calvary Presbyterian Church in Newburgh, NY on Saturday, June 12, 2010. 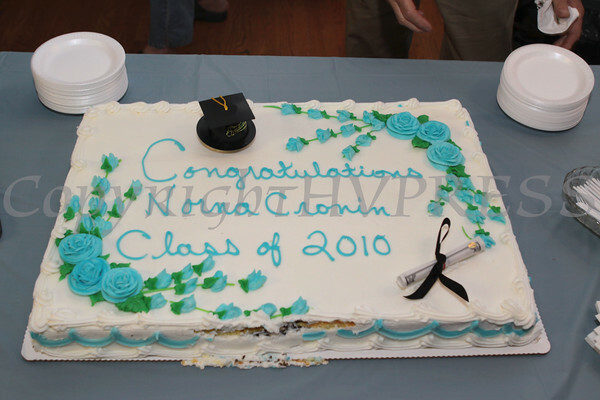 A cake congratulating the first graduates of Nora Cronin Presentation Academy was on display in the dinning hall of Calvary Presbyterian Church on Saturday, June 12, 2010 in Newburgh, NY. Hudson Valley Press/CHUCK STEWART, JR.